If you are shopping for a new vehicle in Normal or Decatur, you have the option to buy or lease at most dealerships. 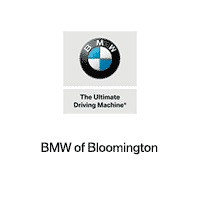 Check out our guide to the benefits of financing a car and leasing a car at BMW of Bloomington to help determine which option is the best for you. No Mileage Restrictions: If you drive your vehicle every day, be sure to estimate the number of miles per year you think you’ll be driving before choosing to lease. If you know you will go over the mileage limit, buying is probably the better choice for you since there are no mileage restrictions. Total Ownership & Customization: There are also no limits to what you can do with your car when you buy, from adding accessories, upgrades, and modifications to decorating it and more. Ability to Sell: Without a lease agreement, you can sell your vehicle at any point after you purchase it. You don’t have to wait until a lease term ends. Financing Options: Leasing is a fairly simple process, but if you want to finance a car even with bad credit scores, you may have the opportunity to refinance your loan if your credit score improves. Less Cost Over Time: Over a longer period of time, it typically will cost less to purchase and own a vehicle than to go through several lease terms for a new car. Lower Payments: Monthly payments and down payments are typically lower for a car lease than a car purchase. Less Sales Tax: In most states, the sales taxes can be significantly lower for a lease than for an outright purchase. Trade-Ins: Trading in or upgrading your lease at the end of a lease contract is easy–you pay any outstanding fees and get your next vehicle at your local dealer. Great Coverage: Enjoy excellent warranty coverage with a lease as long as you stay within the mileage limit. Options: Stay up-to-date with the latest features and technology with each lease of a new vehicle. High Approval Rate: It is much easier to get approved for a lease than a loan, even if you have less-than-perfect credit or no credit. Check out our BMW leasing and financing deals, and be sure to contact us for a test drive or to ask more questions about your options!